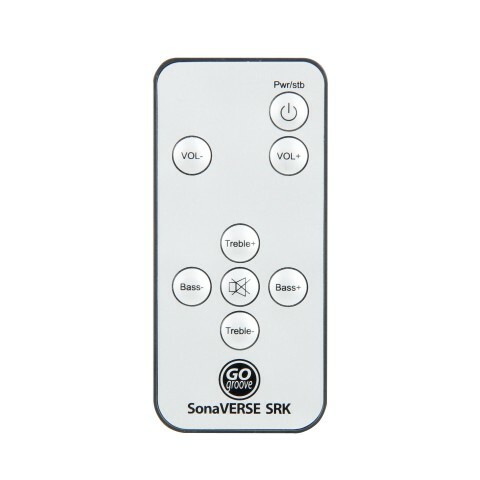 Use the remote to control several features on the SonaVERSE SRK speaker system. 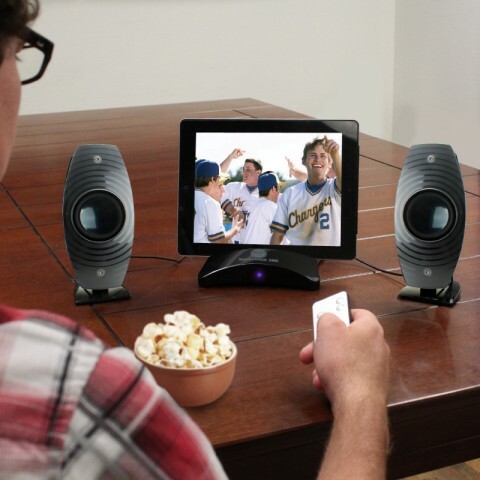 Complete with multiple button controls, turn the power on and off, increase or decrease volume, increase or decrease treble, increase or decrease bass and mute all audio. 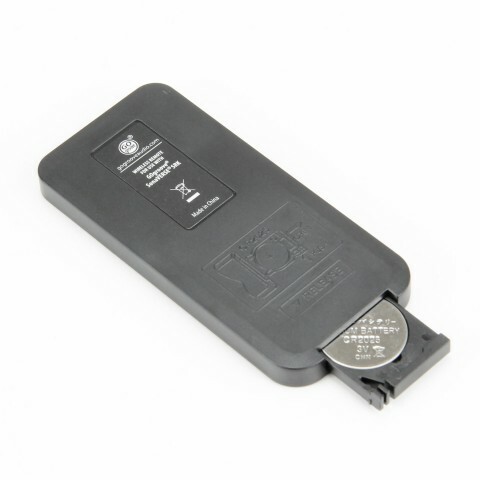 The remote control is compact allowing you to control your settings anywhere!